Hello Eventers! Welcome back to our love/hate discussion of this show that we can't make up our minds on! This week, I'm falling back on the "LOVE" side of The Event. The show really does have a lot of potential when it's firing on all cylinders. Tonight was one of those nights where they slowed down the pace and just focused on 2 major plot lines with a little bit of alien nation sprinkled into driving both of those stories. Both stories were equally suspenseful and dare I say one of them creeped me the hell out! Maybe, The Event has found a formula that works with episodes like this. Of course, as we say every week, it's probably all too little too late. Remember the days when network TV let average shows linger on for a couple seasons so that they could find their voice? Oh well, let's dive into this week's recap and we'll worry about season 2 some other day! As we all know, I may change my mind next week anyway! Anyway, the body seemed to be highly contaminated with something. As they quarantined it off and didn't open the case until only the scientist with the hazmat suit was in there. The scientist said that the body had held up quite well after 93 years. He implied it was due to the cold climate. Are we to believe this body was extra terrestrial? Or just that Sophia and her people had knowledge of what this body was exposed to? I had to do a little research but knowing this guy was a solider 93 years ago, that puts as right smack in the middle of the Russian Civil War/World War I in 1918 to which Murmansk played a role. I had done a little research into the Germans experimenting with biological warfare in WWI trying to figure out the mystery that killed this soldier, but I had already forgotten that this was explained at the end of the episode! Oh well, stay tuned and I'll explain it here again! But I was actually excited to do research on this show which has to be a first! Anyway, things take a turn for the worse when the doctor drops a mucus sample and cuts his suit open. He convinced the reluctant guard to open the door and that's where we leave them for now! Don't worry we'll join them soon enough! 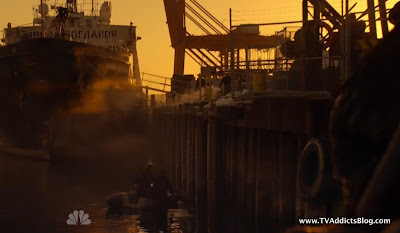 By the way, I loved the scene between the Russian Boat Guy and probably Sophia henchman outside on the boat. They tried to make Los angeles look like 10 degree weather in russia by dropping a few paper flakes and shooting steam up the side of a boat. Well, all the scenes can't be winners can they!? 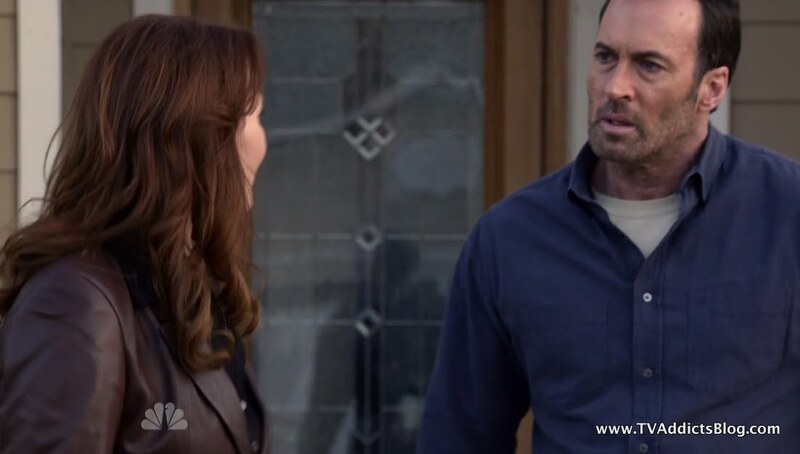 We catch up with the end of Michael and Leila's conversation after she made the call to Sean. 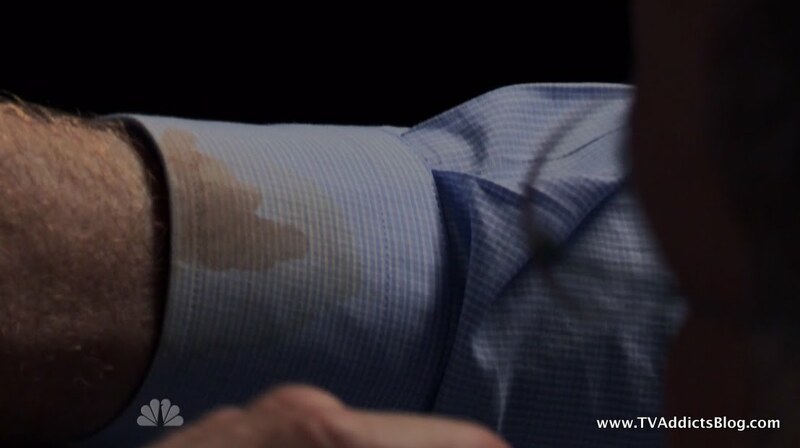 Michael got the information out of Leila of what she spilled. She informed Michael that she told Sean EVERYTHING. 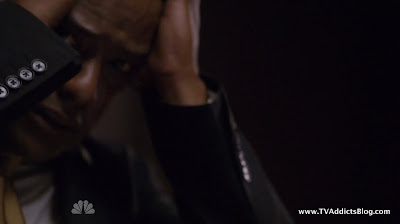 Of course Michael is extremely worried for himself, for Leila and for their entire mission! Enter Louis who tries to make things worse. Whining about how they need to tattle on Leila to Sophia or else...I dunno the government is going to wipe out their whole race. Eh big deal Louis! Save your strength for when something important is going down! 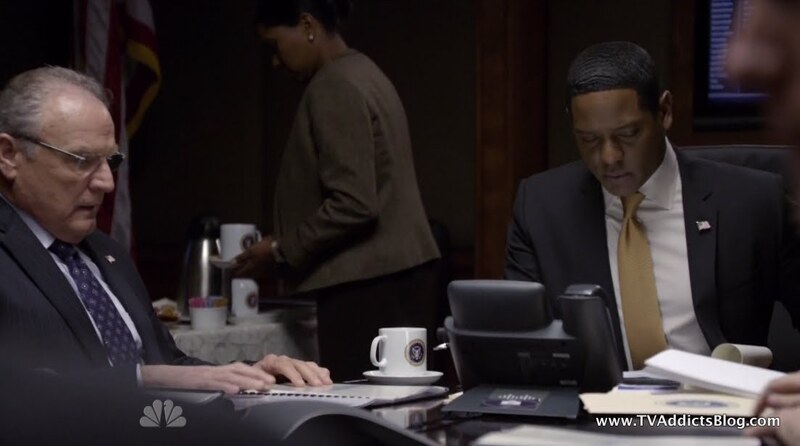 Anyway, Michael plays along and pretends to agree that they need to tell Sophia. We all know what's going to happen but it doesn't make it any less of a good time! 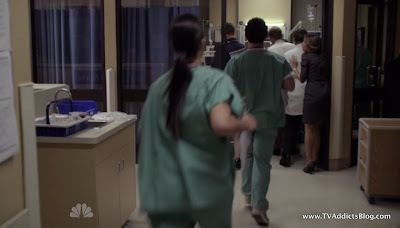 Louis starts complaining about how they shouldn't have brought Leila here and then Michael slams him into a car and then snaps his neck just saying "it's done, help me move the body" to Leila. Wow, that was cold. Almost as cold as they made "Russia in Los Angeles" look! Michael still isn't too thrilled with Leila and he's just trying to save her from an unpleasant fate. He still plans on sticking with his alien race through this battle of survival. 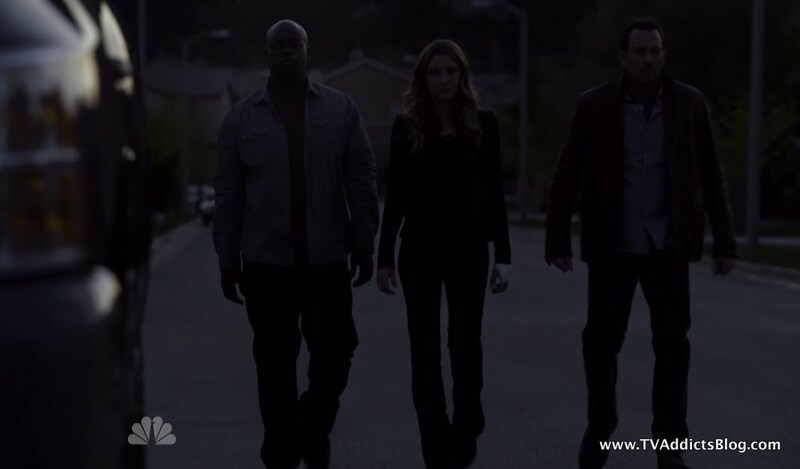 But then things get worse when Sophia shows up to find out where Michael has been. Leila covers up some blood and Michael hides the body somewhere. But the scene was pretty intense! They seemingly pulled off the cover-up though. Although, I'm sure Sophia has some suspicious. 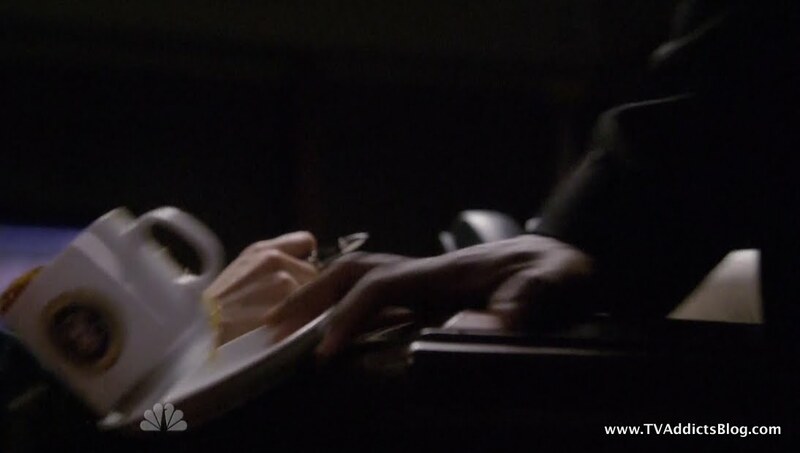 Once quick scene that didn't really make sense to me was later on while they're voting on Jarvis, they show Sophia looking at some plans with a shocked look on her face. There doesn't seem to be any basis for it that we know just yet. Unless she is just still upset at what she had to do to Martinez. I dunno. But just thought I'd note the observation! And thus, we continue the growth of the inevitable Sean/Vicky/Leila triangle where Vicky is winning by leaps and bounds right now. Of course, there may be something additionally shady behind Vicky's intentions to go along with Sean on his next idealistic crusade. Sean trusts Leila's intel which validated Dempsey's story of Sophia's intent to destroy the world with some weapon of mass destruction. 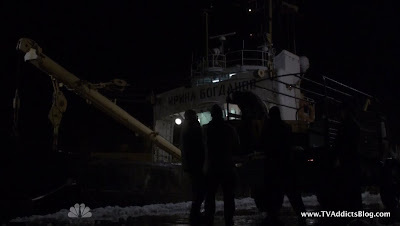 They know they have to get to Murmansk and that they had to find an Irina Bogdanov. Vicky protests for awhile and doesn't like the fact that Russia is so cold. (don't worry Vicky, it's only California!) But then she decides to help him with a little smirk on her face. Sean asks why she would plan on helping him. And she told him not to analyze her. Naturally, this didn't stop him from asking later, but my question is this. I applaud the writers for putting them on a train for a scene to show they're enroute to a destination. But here's my one problem. 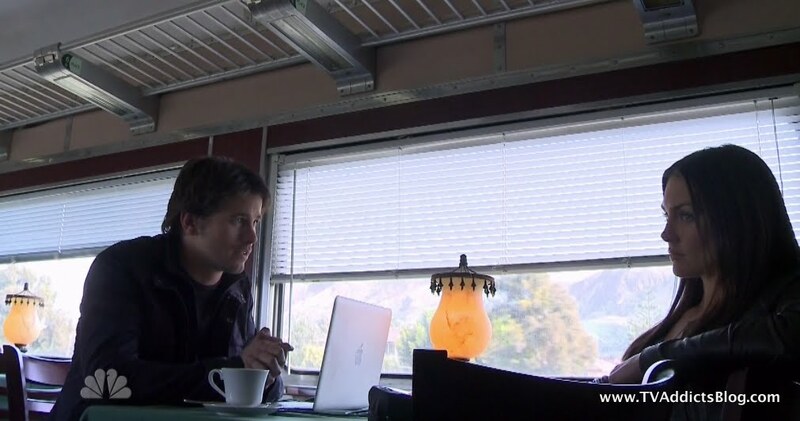 Why would they put them on a train before Vicky agrees to go with him to Russia? Where were they going during this scene!?!? Ahh, even when I like an episode, this stuff just cracks me up! And I don't remember where they were in France, but let's just say outside of Paris. 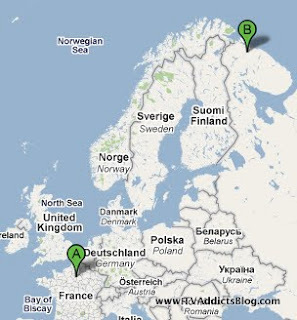 I just thought you might be up for a laugh to see how far Murmansk is from France. Google Maps couldn't come up with driving directions either. I'm not sure if there is a train route! Anyway, Sean figures out through his computer genius skills that Irina Smirnov or whatever is not a person, it's the name of a ship docked in Murmansk! Ahhhh, wait a second, we saw a ship earlier in this episode at that same location!! Could it be the same one!? Well, duh! 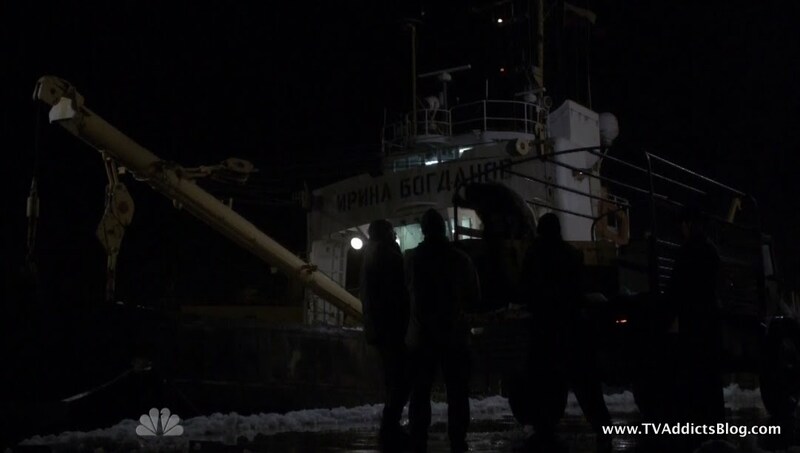 The next scene we have Sean and Leila in Murmansk scoping out their ship and Sean once again has to ask Vicky why she's there with him. She asks, why do you think I'm here? He says that he has no idea why she does anything she does. And Vicky responds with, "yeah damn straight you don't!" Okay, maybe she didn't say that. But yeah, I got the feeling that she might be hiding more than just feelings for Mr. Walker. But it could have been as simple as "Yo, idiot, my life is a complete mess and I get a rise out of going on adventures with you. And yeah, maybe I like you too but you have to be almost engaged to that half alien thing! Ugh!!" I could see that all in her eyes, couldn't you? But enough introspective, time for more action! Computer genius turned James Bond is back in action! Vicky distracts a boat guy as Sean jumps onto the boat and comes at the guy from behind and puts him literally in a sleeper hold. Goodnight Russian guy! They jump on a little boat that gets them to the Smirnov (I'm just too lazy to keep looking up the real name!) and climb on board. Then they go inside (in hazmat suits obviously) to find a whole mess of people who seemed to have all gotten very ill and collapsed to their demise. 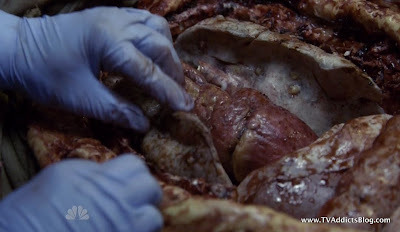 Hope no one was eating during this scene. And as I eluded to before, how about that one guy whose hand just involuntarily rose up to seemingly attach Sean? My heart definitely jumped out of my chest on that one. See, they tricked me by not having the 90 year old corpse do it! Those sneaky event writing b****rds! (censored since this is a family blog). Anyway, they get into the area that became un-quarantined and found the opened up corpse that Vicky identifies as a soldier. They notice the lung is missing which plays a pretty key role a couple bullets down. 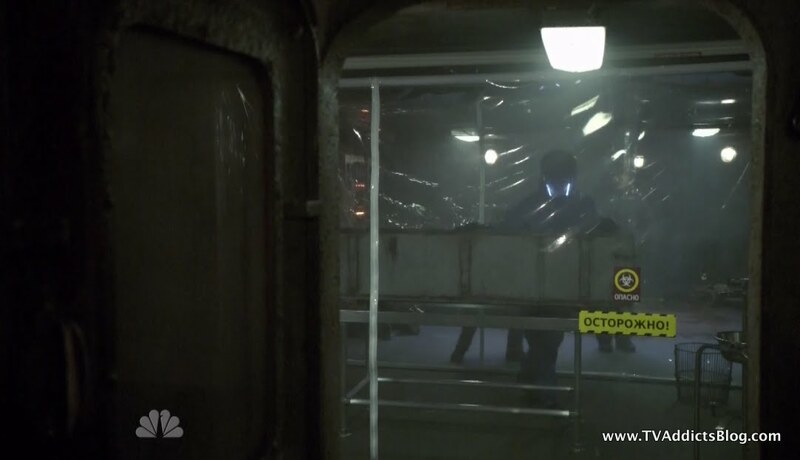 Sean and Vicky find hired Russian guy climbing down into the ship and they get their guns on him for information. He doesn't know what has been going on and then sees that his whole crew is dead. The man explained that it was the Spanish flu that killed all of the people. It killed millions during WW1. The solider was deep in the ice and the virus was alive in him. They want to know where the lungs are and the man says that this guy named Alex must be on the way to the airport to deliver the lungs to the USA. Flight 38, Air Moscow uh oh.....!!!! So, looks like Sean and Leila have their next mission! Looks like they're finally getting around to turning this show into a descendant of 24 like they hyped up before the pilot. Stop a biological threat to the USA! Then stop the aliens from taking over the world! Just don't crash on a mystical Island on your way back to the USA. Unless you're going to help Smokey off the Island to take down Sophia! Ahh if only different universes could meet on one show! Guess we need to get onto this other storyline, don't we? That reminds me, I haven't played a round of CLUE in ages! 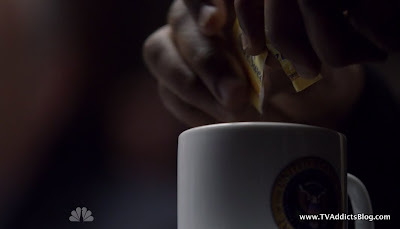 Anyway, when we last left VP Jarvis he had put the Alien drugged sweetener on the President's coffee saucer. How he knew the President would take that mug out of the 20 that were on the table is anyone's guess. But he sure did. We got to witness Martinez doing his day to day business with the cabinet. Agenda Item 1: Alien stuff, Agenda Item 2: unemployment stuff. It was nice to see that Obam errrr Martinez wasn't just focusing on one issue at a time. Of course, we mostly were watching Jarvis nervously waiting for Martinez to drop the sweetener into the coffee, stir it and then finally take a sip. It was still a couple minutes away but then the President was talking like that lady on the local news after the Grammys. And then he got up and as he was about to collapse he looked over at Jarvis with that nervous look on his face and then toppled over sterling dropping his coffee on him and fell to the ground! Woa. 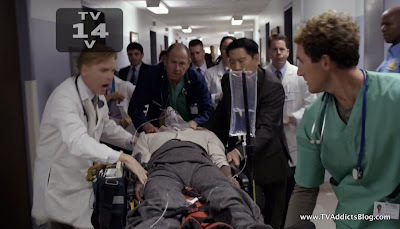 The President was rushed to the hospital but things were not looking good. It appears that the poison has caused him to suffer a stroke and not show any other signs of foul play. Martinez still had enough wits about him to pass the word onto Sterling that Jarvis can not take the Presidential seat. He believes that Jarvis did it based on the look he saw on his face. Smart man, Mr. President! Sterling does not waste time recruiting help to his side. He confides in Secretary Peel that the VP was involved in the assassination attempt at Coral Gables as well. 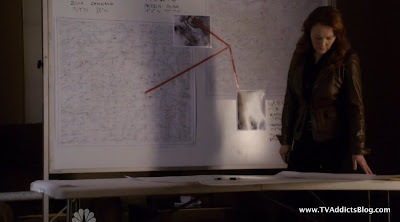 The 2 of them look for evidence that shows Jarvis was behind this attempt too. 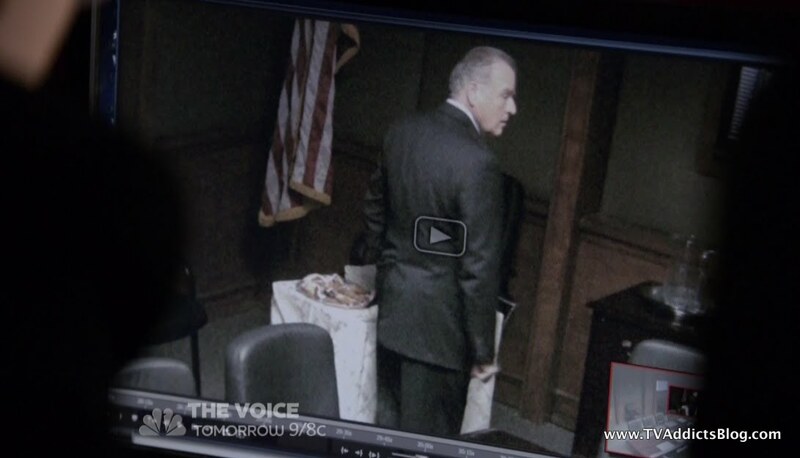 They see him messing with the coffee on video footage but all they can really make out is his back. 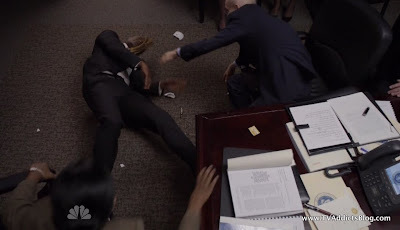 But then they see Jarvis stealing a sweetener package off the table and realize the coffee may have been poisoned. Jarvis, meanwhile is trying to push this swearing in process to occur as quickly as possible. 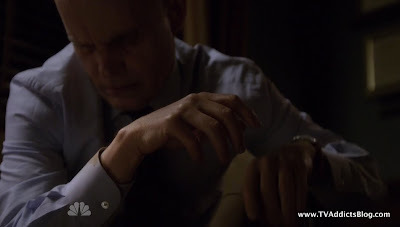 He has a chat with Sophia and realizes that the coffee was spilled. 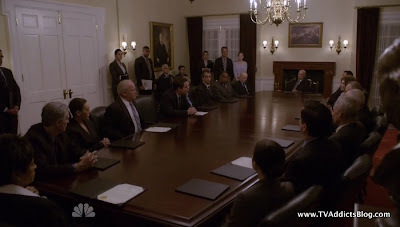 And he gets right on top of cleaning the board room before Sterling and Peel can get there. Meanwhile the 1st lady visited Martinez and also received bad news from the doctor. She seems t be genuinely upset that her husband may die. But she certainly might be an alien too, right? Oh well, we'll cross that bridge when we get there. Sophia also isn't taking the news well, even though she's behind it. She tells her henchman kid not to boast or celebrate at Martinez's potential demise. They did what had to be done, not that it was ideal. 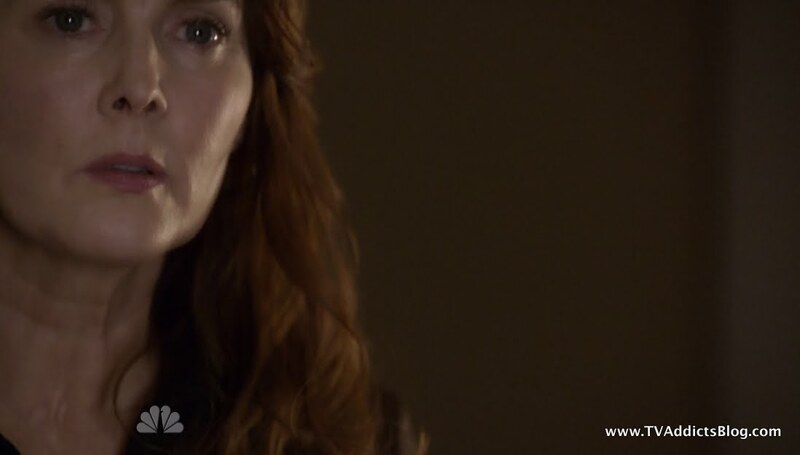 But she also knows that she'll have complete control over Jarvis when he's sworn in. Since Peel and Sterling were unable to track any proof of foul play. Peel has no choice but to go on with the swearing in and live to fight another day. All members of the cabinet and what not were present to vote unanimously that Jarvis should be sworn in. Sterling hated himself for it but he agreed. 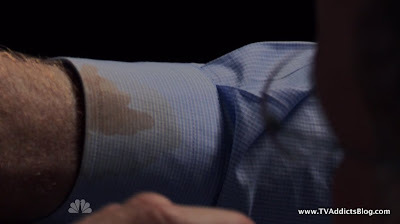 However, he did notice that he had Martinez's coffee stained right on his shirt. EVIDENCE!!!!! Look out Jarvis! 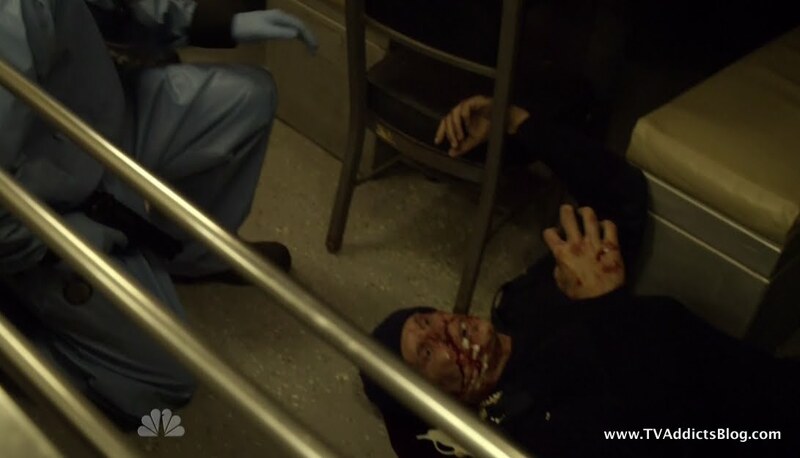 But as all of this is going on, Martinez takes a turn for the worse and starts going into convulsions. It's not looking very good for the President as we close yet another chapter of THE EVENT! Hmmm, so will they really kill Martinez off? This could be an opportunity to see Jarvis execute some bad presidential decisions before he is either dethroned by a returning to health Martinez or by evidence that he played a direct hand in killing the president. Or it could be some combination of both of those. In any case, I found this hour to be thoroughly entertaining and a move in the right direction for this show. If only they could get more consistent with it and I dunno, get 10 million more viewers to watch the show! (probably 5 would do it or just 2 in the key demographic!) But anyway, that's a fight for another day as I am fighting sleep right now! So, I bid adieu for today but look forward to our weekly discussions in the comments. Game of Thrones has started and it's a phenomenal interpretation of the book (which I'm still reading). Check it out on HBO Sundays at 9! 1. From the research I did on the Spanish Flu, it killed as many as 50 million people in 1918-19. 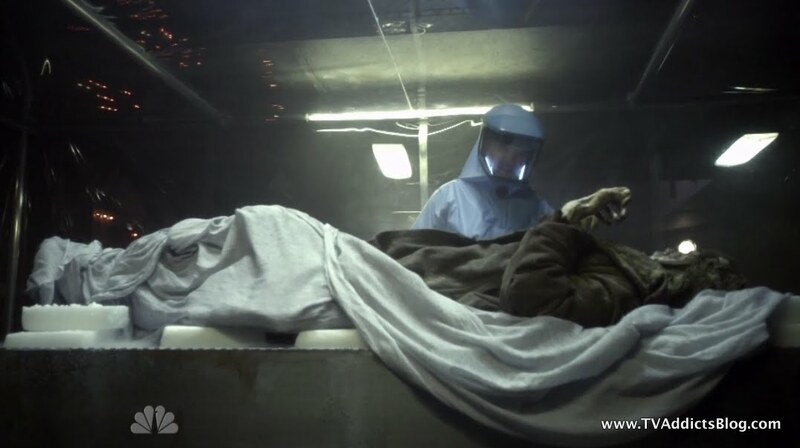 Once infected, it could kill in a few hours!!! Recently scientist dug up a WWI soldier and found the virus still alive and so they are doing research on it. It is related to the avian and swine flus somehow. 2. Vicky's response to Sean seemed to me to show she likes him, but is ready/challenging him to pick up his game. I just don't know if Sean's in her league(on or off the screen--lol). Taylor Cole has got to find something else that's produced/directed well. 3.Given that this is building to a series finale, it is possible the Prez is a gonner. 4. When Sean gets back I wonder if he's going to contact his old FBI buddies. What seems logical probably won't happen though. It's more likely that he'll track this courier until a meet up with Sophia. Although he could do both. 5. Vicky is probably starting to feel some concern for her family too. This could have an effect with her participation on the mission. 6. I wonder if the Prez's wife will come under suspicion by Virginia Masden? 1.) Well I'm glad you did research...by the time I remembered that they were talking about the Spansih Flu instead of all of the WWI bio warfare i researched, I was too tired! But I did link to the wiki site about it lol I think I even read it was 50-100 million. But that's cool that The Event folks are doing their research. I liked the creepy vibe they brought to the show last night. It seemed to add a different (and welcome) layer to the show that we hadn't associated with it before. And it actually seemed to work. 2.) Well clearly most men are not in Vicky's league! But Jason Ritter apparently does have some appeal with the ladies. 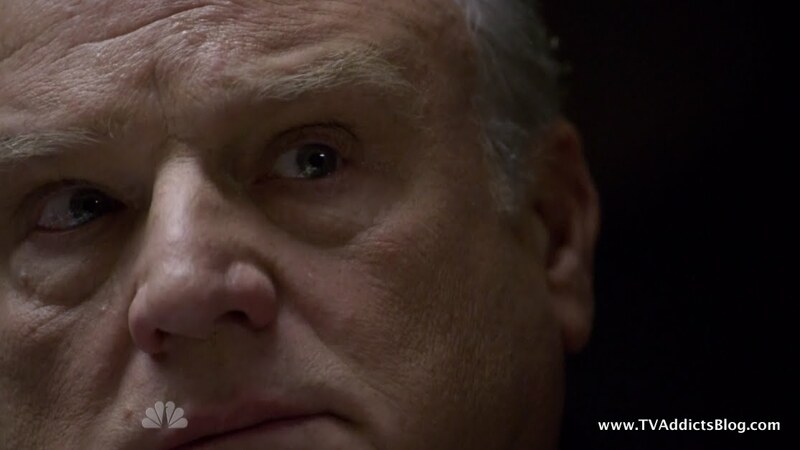 They just love him on that parenthood show when he guest stars. lol One thing is for sure, their chemistry is much better than his and Leila's. 3.) I'll say it again...I think even though WE ALL know that the show most likely will not be renewed, I don't think the producers are going to approach the finale as if they're waving a white flag. 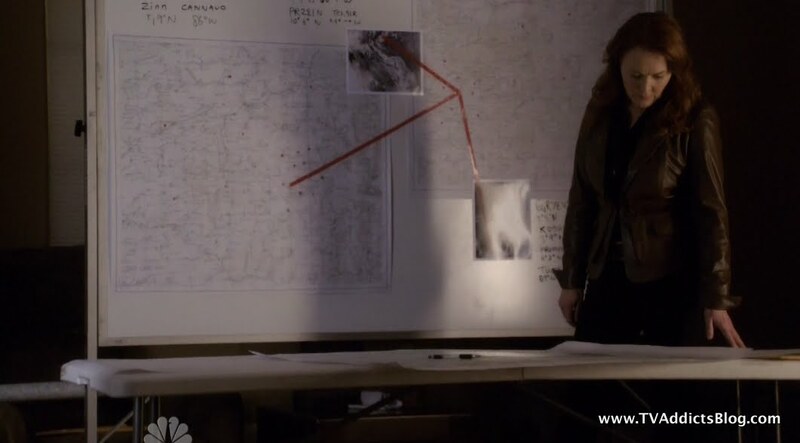 They're mapping this show out like there will be a season 2. So with that said, I still think Martinez may recover. Then again, the thing that made LOST and 24 the shows that they were is that the writers weren't afraid to pull the trigger on main characters. (24 more than LOST. Lost just hired new people to kill off eventually lol But it still made it even MORE effective when a season 1 character would die or seemingly die in later seasons) I really think that will be their approach. It's the same approach V took. They went, pardon the term, "BALLS OUT" with their finale showing all their hands but providing a crazy cliffhanger and it might actually prove to be their saving grace. If The Event took that same approach, then I think Nick Wauters would eventually release a statement with what The Event actually was and what their plan for the show would have been. The show that most recently comes to mind that did a similar thing was the Fox show Reunion from several years ago. Eventually they revealed outside of the show who the killer was. And with the advent of Twitter, a scenario like this is even easier to spread the word. And the fans who care to know will find out. Just my opinion though. 5.) Yeah, I'm sure Vicky's family is in the back of her mind. She probably also wants to do some personal redemption for the evil things she did under the employ of Dempsey. 6.) Well, I think she already IS under suspicion by Madsen...but if you mean you think the suspicion will continue, I'd say that's a safe bet. Though, I wonder how relevant the 1st lady would be if Martinez were to die. If she is a key alien sleeper then why would Sophia want to kill that relevance? And also...why not use her to off the president? It would get the suspicion off of Jarvis who could freely run the world for Sophia after that. Granted, we know some sleepers have developed feelings for their human counterparts so she may have had an internal struggle with such a mission. Oh well...we'll see! Thanks for your comments as always Richard! 1. You're right about the Sean/Vicky chemistry. 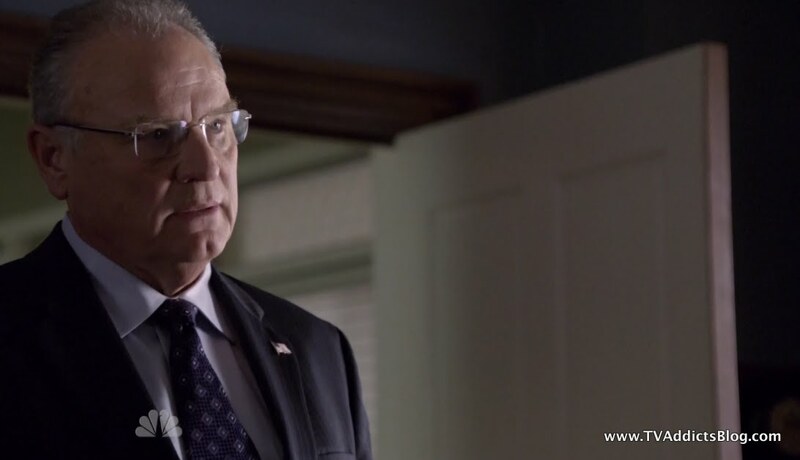 Of the Sophia/President/Russia scenes playing out, I kept pulling for more of the later. 2. Your points on Christina are good. I was thinking that Madsen might suspect her for the killing or killing attempt. 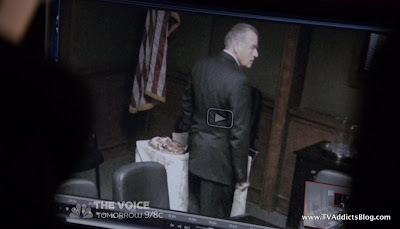 If you assume there is a sleeper on the inside, one of two things are likely--1.It's Christina or 2. we'll have one of those lame scenes with a flashback of how the sleeper was able to fool Madsen's investigation(confirming I spend too much time looking at this show with a degree of reasonableness--lol). Ahhh I gotcha on Christina and Madsen. Yeah, that would be an interesting twist. 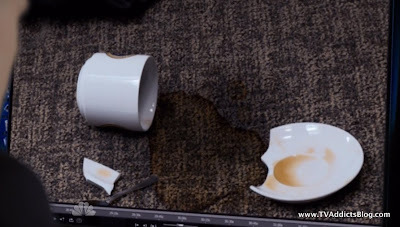 But I think sterling and martinez already have solved the case of the poison coffee! 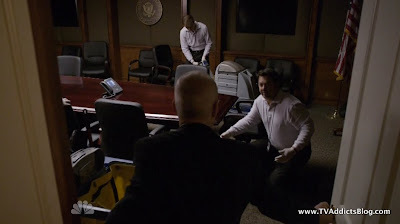 lol Like the idea of a cheesy flashback scene connecting all of the dots to set up Christina for a fall lol They definitely gave up on their flashback device early in the season but it might not hurt to do one on occassion! Vicky is so rediculously hot..i cant even fathom how she wont have a full career..there are Sci-Fi channel cheezy shows that need her level of Hotness! 1. Taylor Cole is HOT. Totally agree and would like to see her in a major movie too. 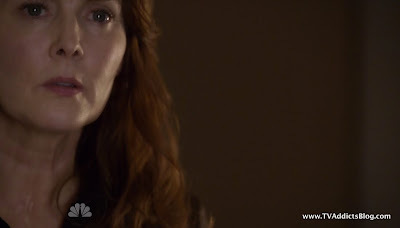 Maybe she can be worked into next seasons Fringe--lol??? But, I wonder if she would outshine Olivia/Fauxlivia. 2. There are Angels, Guardians(Dempsey,etc) and humans? @AUSW - What do you mean none of us made the connection to the weapon being the Spanish Flu? I thought the episode pretty much made that connection for us! I didn't think I had to come out and say it! lol I just mentioned that I forgot that they actually gave it a name. I think I see what you're saying though. The aliens/angels (whatever your preference) probably instigated the original outbreak of the flu, right? It also could have just meant that thomas did his homework in the 40s and learned about WWI and what went down there. But I like your idea better. Plus, we already know from Dempsey that the aliens have been coming way earlier than the crash in the 40s. @Richard - looks like you're responding to AUSW so I won't respond too much to those. But yeah...I agree...I think Dempsey was referring to the Sentinels as the "ANGELS" not the actual aliens. But, we'll see if AUSW's line of thinking still works down the line. ANYWAY, get ready for this: i actually didn't laugh during this episode! i thought it was one of the best of the season.. cue the trumpets, get the marching band ready, we're havin' a parade! anyway, i do find it odd that martinez's wife wasn't the one that sophia called on to poison him. which makes a case for her NOT being a sleeper, since she'd be the perfect candidate for something like that.. ugh, who knows, are we gonna find out once-and-for-all before this season/series ends? 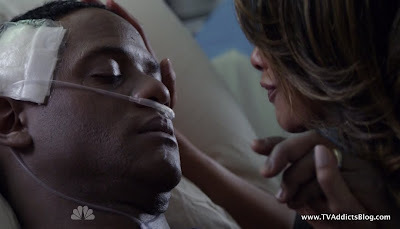 i also think that martinez is going to live.. if he was going to die, he'd probably be dead by now. 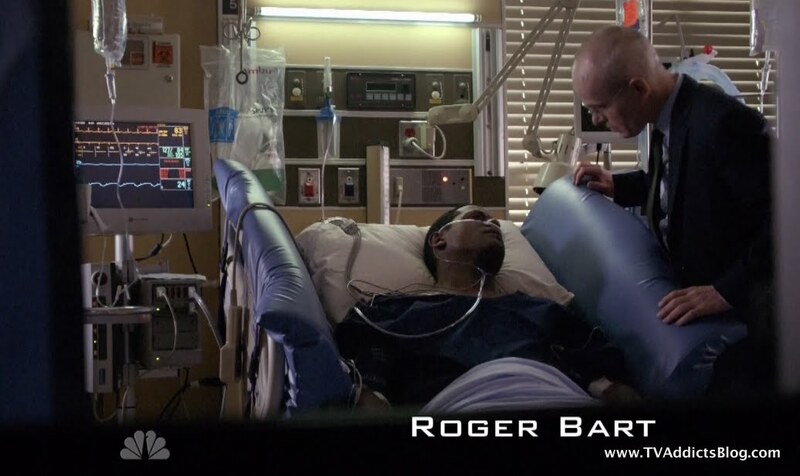 when most shows kill of a character, it's quick... unless the character has cancer or something. i actually like that the weapon is the spanish flu and not some space-age alien thing.. like a ray gun or something, haha.. but what i don't get is, are the sleepers immune? 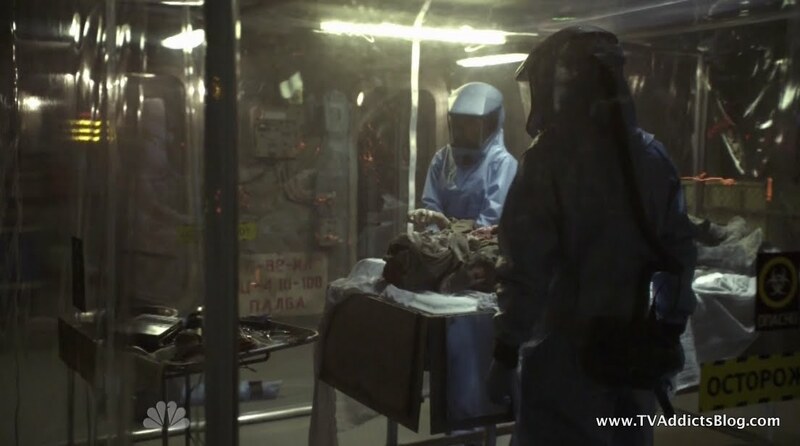 if there were sleepers on that boat, then it's obvious they aren't.. so while this outbreak happens, are they going to be all nice and snug in a sterile environment? do we all assume the presidents wife will save him somehow? blood transfusion or something of the sort? 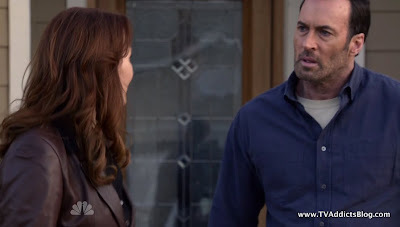 or will Sophia have a change of heart and save him? im actually very impressed with the Director character..as a character actor on Heroes for one season I think they added a lot of depth to him in the 2nd half of this season..
i can say that the guys from "GeekTime", the Howard Stern saturday afternoon radio show hosted by some of the uber dorks (not that Howard isnt) love The Event..and they were said to be a big reason Fringe did well on Fridays are promoting the show so hopefully it will help..
Agree on Christina...if she was the sleeper why not use her? Unless they have other plans for her. she won't be much use to them with the president dead though so who knows? As far as the outbreak...I think there was just the one guy that was the alien. This ALEX guy...he was the one who was hanging out in the cold california weather outside of the boat...and then he left with the lung before there was an outbreak. So I think the aliens were safe. The rest were hired to dig up the body for him. That's just how i think the breakdown was. The guy that Sean/Vicky interrogate said something similar to that. But it's a good question to if they're immune. I'm thinking since they are advanced biological entities who age very slowly, they probably have beefed up immune systems and they may not get sick by Earthly diseases. But we'll see! I have not been watching Firefly on Science. I have the whole season streaming on Netflix...but I still haven't gotten around to watching it. I did hear it was a great show though for as long as it was on. And I like all the people that were on the show. So maybe one day i'll watch! Both interesting options for how Martinez may get saved. That could explain why Sophia made that "shocked" face at the end of the episode. She may need Martinez alive or something. 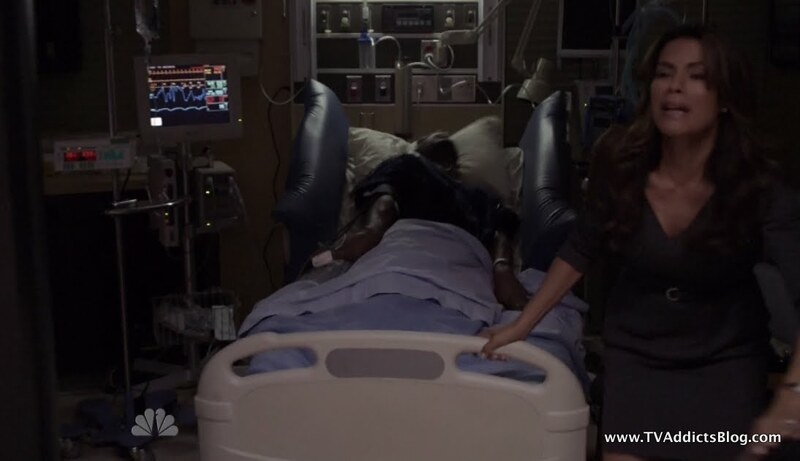 Or maybe just a change of heart yeah....And yeah maybe Christina will somehow save him too. I can't believe you bring up Sterling for his character on Heroes and don't bring up the fact that he was Juliet Burke's ex-husband on LOST! lol He made such an impression in that ONE flashback episode he was in. Of course, getting hit by a bus after a wish to Richard and Ethan might make an impression. Yeah, I've always been a fan of his work since LOST. Even though Heroes was one awful mess, I did like his character. I wouldn't say Fringe is doing "WELL" on Fridays...but yeah the fact that the critics are in its corner, the geek time squad (never heard of them...sorry! lol) are promoting it, and Twitter goes nuts promoting it as well...it all helps. Although, as much as I see all of this stuff being said about saving Fringe...I have not heard ONE thing about anyone pleading for The Event to be saved. So this GeekTime thing would be the first I've heard. Even FlashForward had people black out for 2 minutes and 38 seconds in front of an ABC building to try and save the show lol But we'll see! For the Event to survive there would need to be some more character removal and new ones added. For example, Sophia's monotone motherly voice is starting to get old. And yet she can be downright cruel. I would like a listing from AU Starwars of what he considers the various beings and their roles, if he would be so kind. Now of course there are probably different factions within these two major ones: Angels who are benvolent and on the human side (FBI Dude, Leila) and probably even sentinels who use their knowledge for "evil"
don't have time to comment fully now...but i always thought the Old Testament was looked at as an allegory but the New Testament was supposed to be looked at as an actual account of history and faith?! I know the Catholics are supposed to believe it actually happened! Are you going as far as saying that this show subscribes to the idea that aliens helped build the things on this planet? You know like the pyramids and Peruvian astronaut, etc. I have forgotten a lot about X Files, but I seem to recall that there was the belief that aliens have always helped guide the humans. A second theory was that humans are descendants of aliens. That all 3 groups you mentioned are related. Be sure and click on the anomalous artifacts and ancient skull and bones pages. In a lot of ways, I have been wondering if this is related to Fringe and the First People. As well as The Event, especially after seeing the tablet that Dempsey was working with and the cave in France. Hate to burst your fun bubble but Sean and Vicky now have no car so traveling by rail to get to a plane would be the only option for them - and very popular in europe. For once they actually did it right. Vicky is a patriot - that is what Sean hasn't quite gotten yet. Just like our pal Jack Bauer. They do baaad things but for the side of good. I don't trust Peel - just something about him. 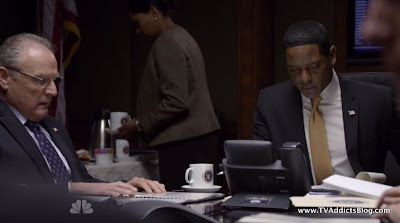 Don't know that I am convinced Christina is an alien or not yet - but if she is Sophia would not choose her to do the poisoning as she needs the VP to do it so she then has some hold over him. But I can't some up with anything else that Christina could be hiding, and she IS hiding something. 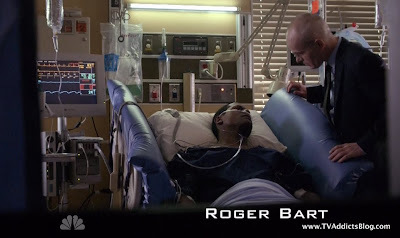 I like the ep - but find it strange that the aliens knew the location of this body that supposedly died before they got there, and that the disease would still be active. And with all their powers it could have been soooo much easier to just steal it from a lab or the CDC. As we found out after the real Anthrax scares lots of labs keep these disease strains in storage for later use. Just saying. Mmmm - I've also been re-watching Firefly - and love that show. That's one with real eye candy for the women ! 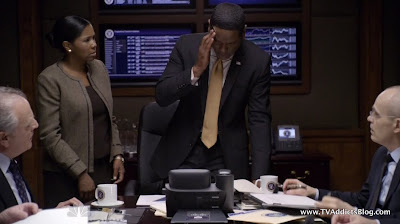 LOL Blair Underwood has gotten old, and Ritter is ok - what made him so attractive on Parenthood was his character as well as his looks. Ironically, Sean is the one showing off Jack Bauer traits...but agreed Vicky may be a patriot. Of course, she didn't know that she was doing "GOOD" before when she was working for Dempsey. I would agree there may be something shady about Peel.